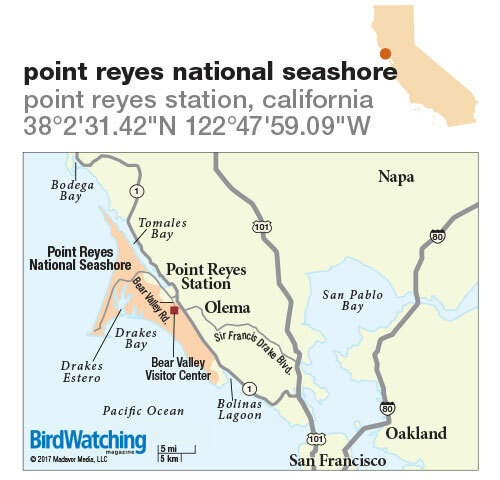 This vast national seashore north of San Francisco boasts the largest avian diversity of any national park. 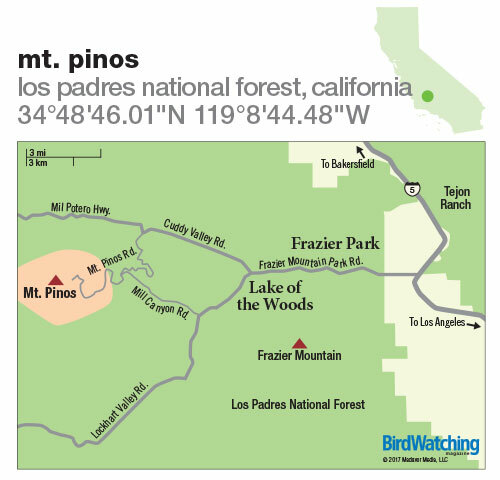 This mountain, straddling Ventura and Kern counties, is a great place to look for condors, Northern Goshawk, Golden Eagle, and several owl species. 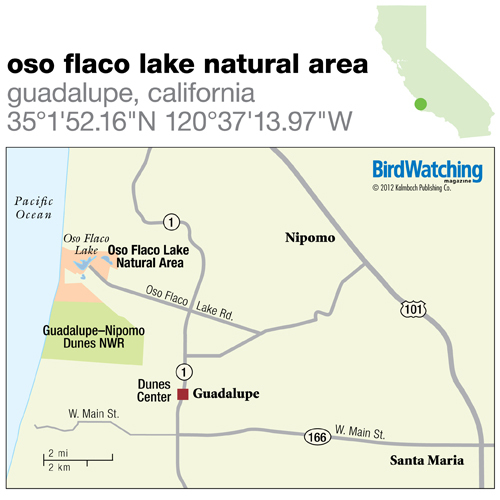 This vast park east of San Diego is home to about 300 bird species. 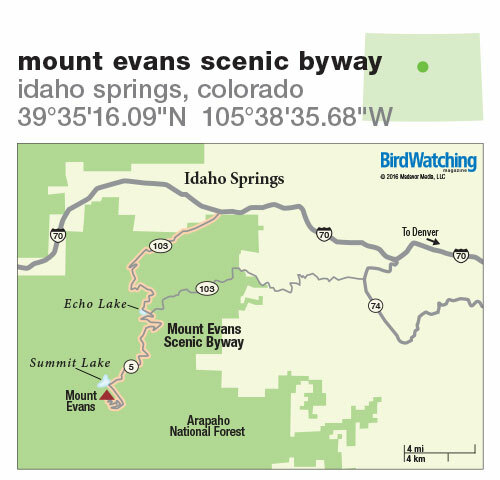 Look for birds in conifer forests, tundra, high alpine lakes, and other habitats along the highest paved road in North America. 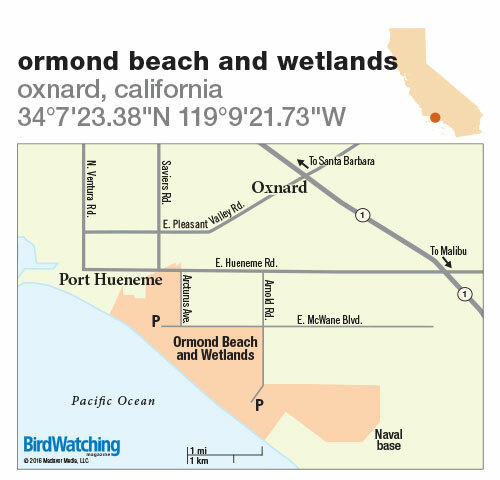 More than 200 species have been found on this beach and adjacent wetlands south of Oxnard. 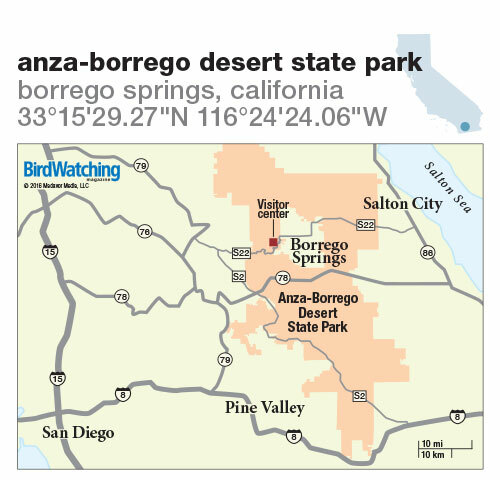 A protected area north of Phoenix that is home to several species of conservation concern, including Western Yellow-billed Cuckoo. 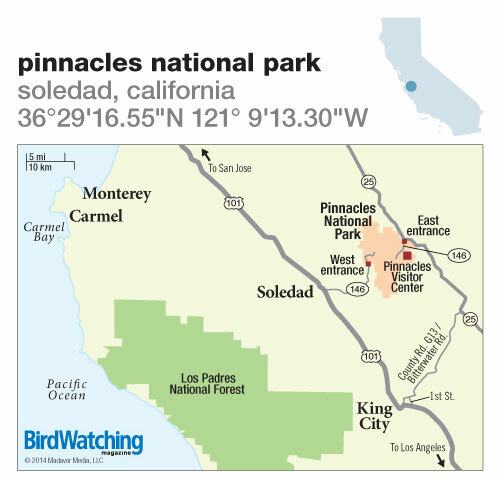 Our newest national park is where to look for Prairie Falcon and Golden Eagle, and it’s a release site for the spectacular and critically endangered California Condor. 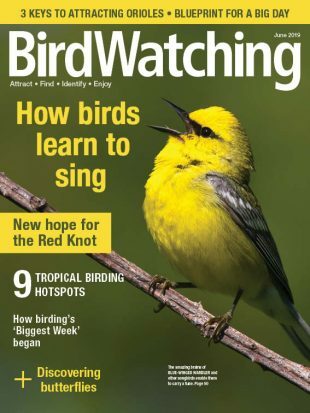 Where to watch shorebirds, waterfowl, warblers, and other birds on California’s central coast. 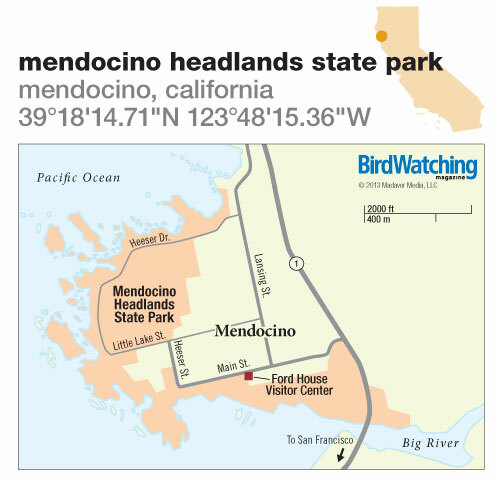 A state park on the Pacific Ocean where the scenery is as spectacular as the birds. 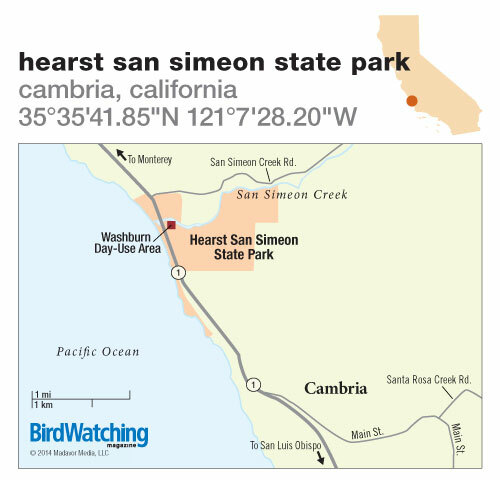 A Globally Important Bird Area on the central California coast that attracts Long-billed Curlew, Whimbrel, godwits, and more than 300 other birds. 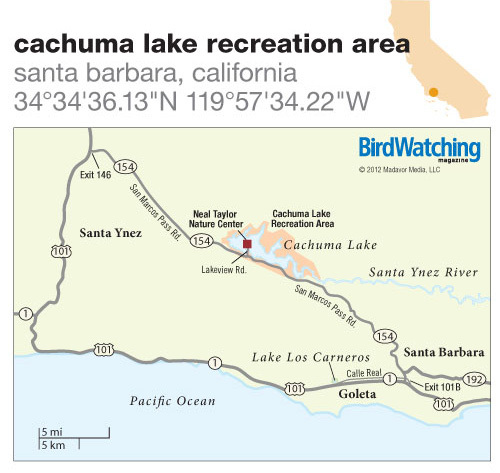 A backcountry birding bonanza nestled in Los Padres National Forest, only 20 minutes from Santa Barbara. The most intact coastal dune ecosystem on the West Coast. 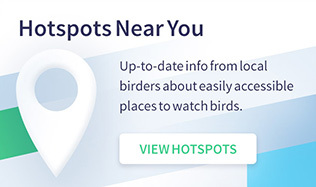 It’s where to find Least Tern, Osprey, pelicans, and many more species. 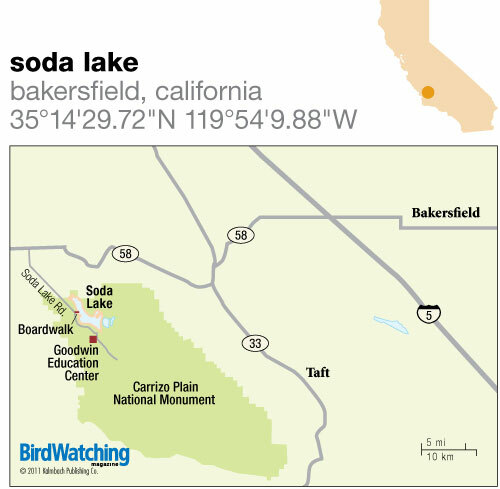 This ephemeral alkali lake within Carrizo Plain National Monument is superb for Long-billed Curlew, American Avocet, and Loggerhead Shrike, and critical foraging habitat for California Condor. 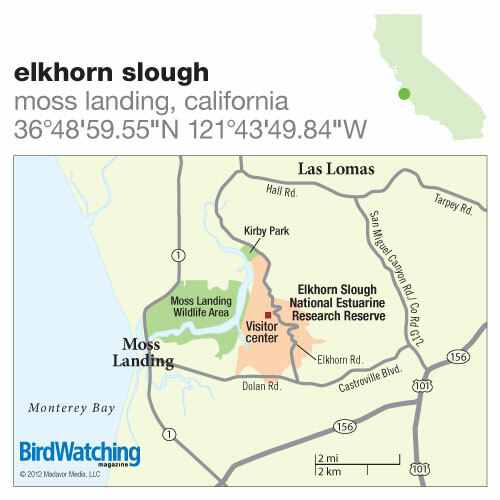 Shorebirds, raptors, ducks, Lesser Goldfinch, Barn Owl, and Anna’s Hummingbird are among the many great birds that rely on this coastal wetland east of Santa Barbara.